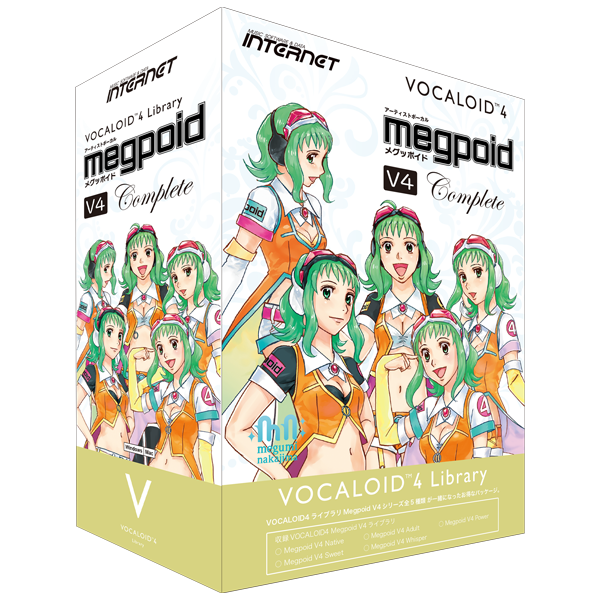 Megpoid Complete is the complete set of five virtual vocal voicebank "Native", "Adult", "Power", "Sweet" and "Whisper" based on voice of Megumi Nakajima who is a Japanese singer and voice actress. ""Growl"" , big features of VOCALOID4 are compatible with these voicebanks. Growl makes it possible to sing as if growling. The virtual vocalist "GUMI" is the character of VOCALOID Megpoid. Megumi Nakajima (born March 5th, 1989) is a Japanese singer and voice actress. In 2007, she auditioned to the Victor Entertainment sanctioned "Victor Vocal & Voice Audition" and was chosen to voice Ranka Lee in Macross Frontier. Musical Performance in the third Seiyu Awards.